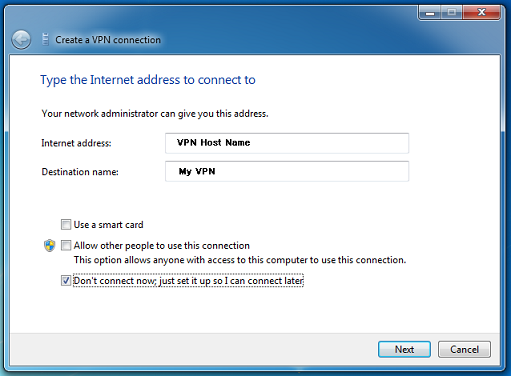 In the text box labelled “Internet address” type the VPN server host name and in the text box labelled “Destination name” type your company name. This is the name of the connection, and will show up in the “Connect to a network” screen when we’re done. 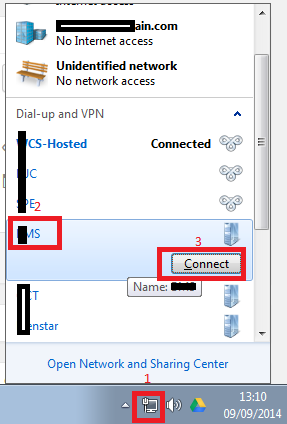 Lastly, make sure that the checkbox labelled “Don’t connect now; just set it up so I can connect later” is checked. 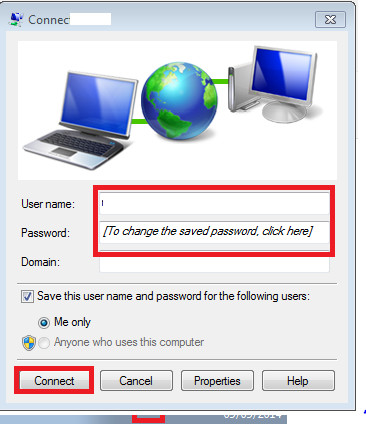 Optionally, check the “Remember this password” checkbox and you won’t have to enter your password when you connect. 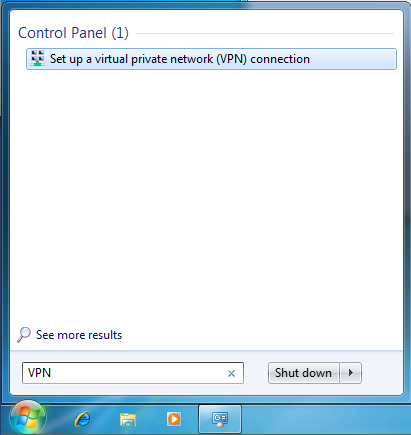 This completes the VPN creation. We now want to change a couple of settings to restrict the VPN to only traffic that’s destined for your server, rather than all internet traffic. Failing to change this can slow or prevent your access to the internet. 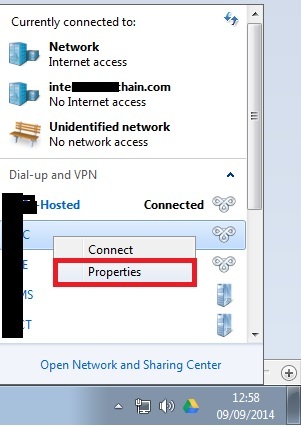 When the property window opens, click on the “Networking” tab. 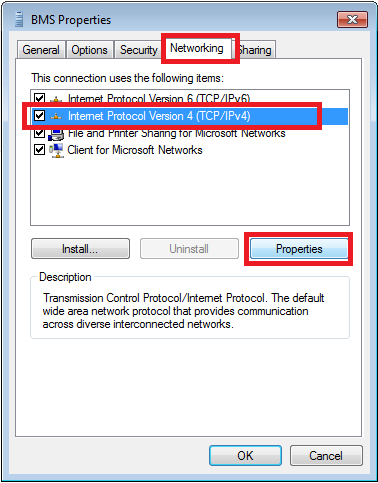 Click on “Internet Protocol Version 4 (TCP/IPv4)” and click on “Properties”. In the “Internet Protocol Version 4” window, click the “Advanced” button (1). Then un-tick the box labelled “Use default gateway on remote network” (2). 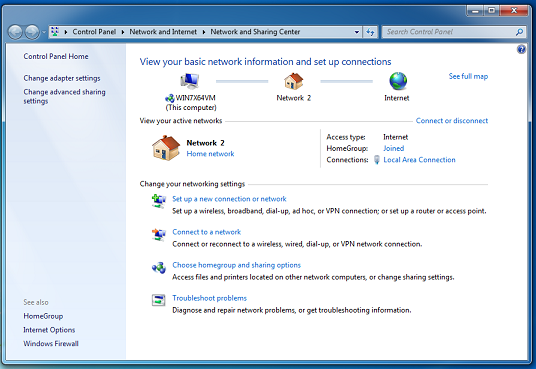 Click “OK” to close this window (3), then “OK” again to close the “Internet Protocol” window (4). 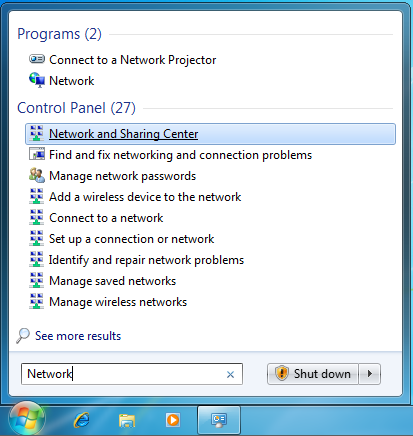 Click OK one last time to close the Network Connection Properties window. Click “Connect” in the window that pops up. 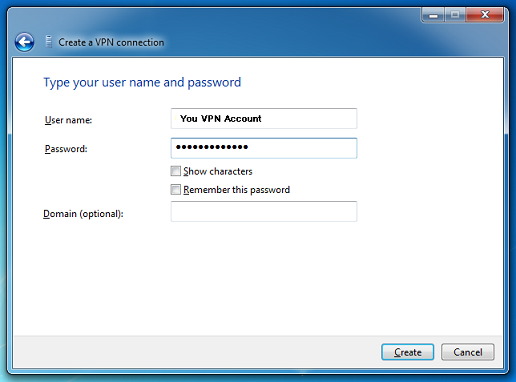 This should connect the VPN – if you have any problems, please contact Blue Compute support.